Jeff was raised in Phoenix, Arizona. He attended Arizona State University for his undergraduate degree and graduated in 1989. Jeff received his Doctor of Veterinary Medicine degree in 1997 from Colorado State University. His senior year he won the American Association of Feline Practioners 'Student of the Year' award. 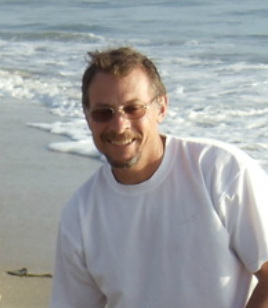 Jeff returned to Phoenix and worked at Carmel Animal Hospital. In 1999 he purchased the practice from the retiring owner, and had a successful business through 2008. 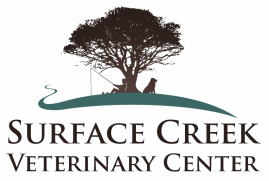 In the spring of 2009 Jeff and his family moved to Cedaredge, Colorado and in 2011 opened Surface Creek Vet Center. 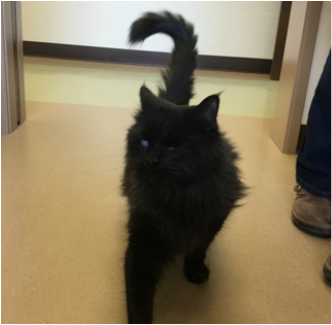 Jeff has an interest in feline medicine and endocrine disorders(such as diabetes, Cushings disease, hypo- and hyper-thyroidism, and Addisons disease). Jeff enjoys his family, is active in the Knights of Colombus, and serves on the Board of Directors of Little Sprouts Preschool. Susie was born and raised in Grand Junction, Colorado. She attended Colorado State University for both her undergraduate and graduate studies. Susie received her Doctor of Veterinary Medicine degree in 1997. She practiced at a mixed animal clinic in Flagstaff, Arizona for 2 years before joining Jeff at Carmel Animal Hospital in Phoenix. In 2003 with the birth of their first child, Susie cut back to part time at the clinic, specializing in surgery. The hospital was successful and a great place to work until closing at the end of 2008. 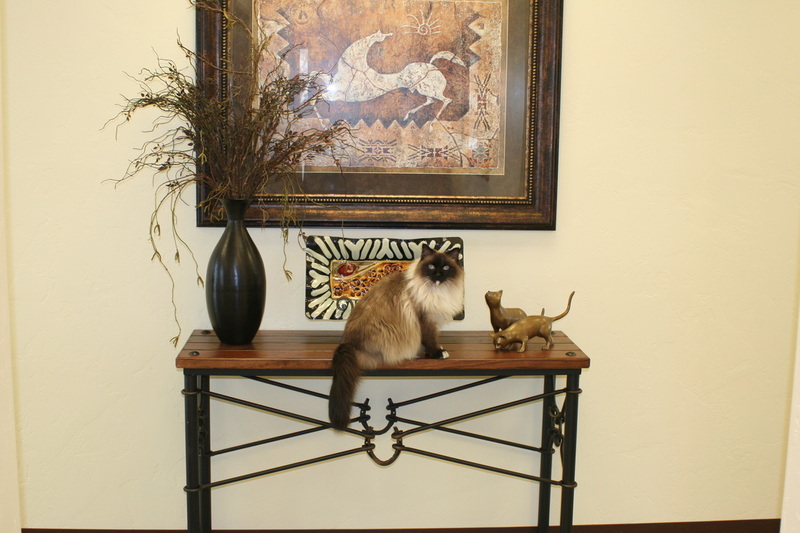 At that time the Hirsch family moved to Cedaredge, Colorado and in 2011 opened Surface Creek Vet Center. 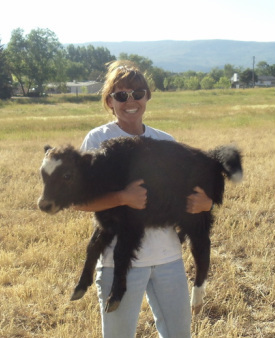 Susie enjoys working on a wide variety of animals, with an emphasis on the ruminants (alpacas, llamas, sheep, goats, and cattle). Susie and Jeff have four young children and are active in their church and the community. Annie is an integral part of our office staff, and she joined us in March of 2015. Annie grew up in Grand Junction, and moved to Cedaredge nine years ago. She has three little girls and a husband at home, as well as two boxer dogs and a laborador. Annie loves to jeep off-road, and Moab is one of her favorite haunts. She drives the jeep (and won't let her husband) and it's name is Tigress. Here at the clinic she does a great job at the front desk. So when you call, chances are it's Annie who'll be answering the phone! Desiree joined us in August of 2014, and is our lead veterinary technician. She is a Delta native and has always aspired to be a vet tech. She is passionate about people taking care of their pets. Desiree raises rare-colored French Bulldogs and American Bullys. She also has a chihuahua and four cats at home. In her spare time she enjoys bowling, bingo and training her dogs. ​Lexee is a high school student here in Cedaredge and we love having her help after school. Sometimes on Saturdays you'll find her helping out as well. Lexee has horses, dogs and sheep. She works hard in school and will be heading to college at the end of the summer. She wants to go to school and be a veterinarian, so we think she's in the right place! Peek had a rough start to his life, and was brought in by a client who found him by the road. He was just a few days old and had a herpes virus infection in both eyes, which weren't open yet! We treated him and bottle fed him, and when he grew a little we had to remove one eye. His other eye is cloudy, but he can still see you! He is the "Crazy Little Brother" of the bunch, and keeps us all on our toes. Abbigail joined us at our Grand Opening in February 2012. She was a resident of the Cedaredge Animal Shelter for the previous year. Abbigail was diagnosed with intestinal cancer in the summer of 2015 and sadly passed away on December 22nd, 2015. We will always remember her friendly face.